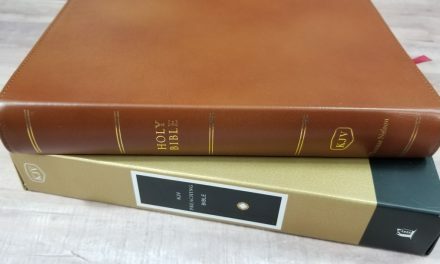 Thomas Nelson’s full-color NKJV study Bible, the 2nd edition, is a rival to the other popular full-color study Bibles that have hit the market in the past few years. 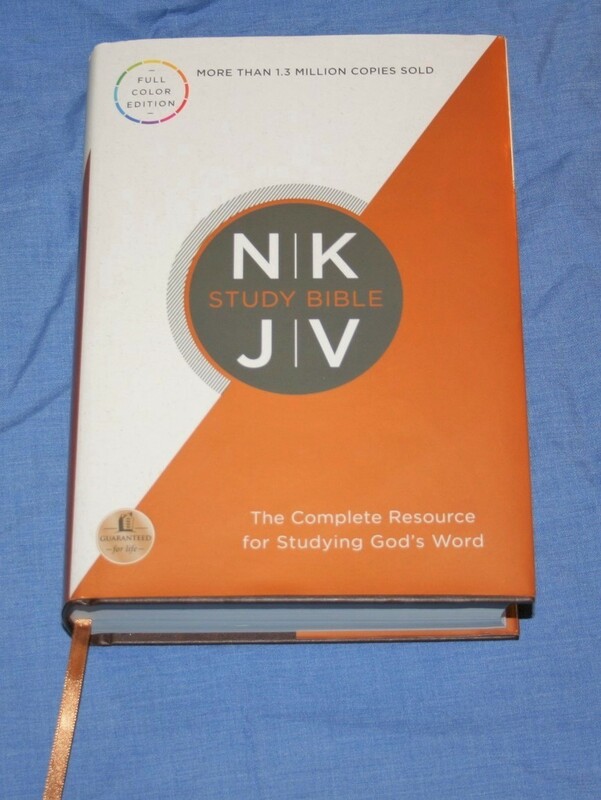 The NKJV Study Bible has been out for several years but it is now updated with color photos, charts, features, and expanded articles. This is a hardcover edition with a sewn binding. The dust jacket can be removed to show the brown marbled cover underneath. It has no problem staying open anywhere you open it to. 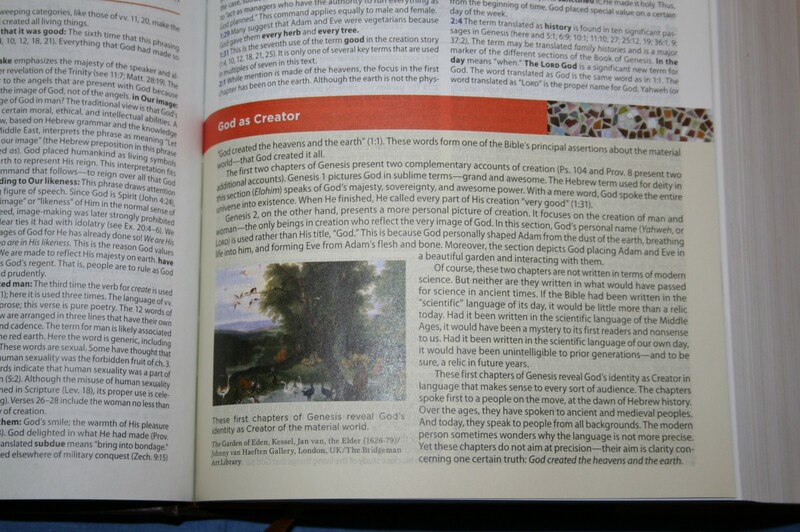 The paper feels like a higher quality paper than what you find in most study Bibles. I’m sure this is needed for all of the color photos, maps, and charts. There is a single ribbon that’s a dark gold or mustard color. It’s probably the longest ribbon I’ve seen in a Bible. I’m glad they included it. Ribbons are usually left out of hard cover editions. The text is presented in double-column, paragraph format with poetry set to verse and OT quotes set to oblique type. The font looks like a 9-point with a 10-point leading. The font is sharp and very readable. There is some variation in the print darkness. It ranges from medium to medium/dark. This is a black-letter text. I’m sure a red-letter text would look too busy with all of the other color throughout the Bible. Especially considering the section headings are in red and includes references to parallel passages. If the text was red too it just might be too much. As it is, it feels like a good balance of color. References and translation notes appear in the center column. If the references and notes are too many to fit into the center column, the rest are placed under the last verse on the page. The center column and block under the last verse are colored dark gray. This looks odd until you get used to it. My guess is they wanted it to break up the page visually. I like visual variety in a page layout as it keeps the layout interesting. I’m not sure I would have chosen gray though. It almost stands out too much. The target audience for the study system is pastors, teachers, and students. Like most study Bibles this one includes commentary. Like all commentary, this is the words of fallible man and should not automatically be accepted as truth. 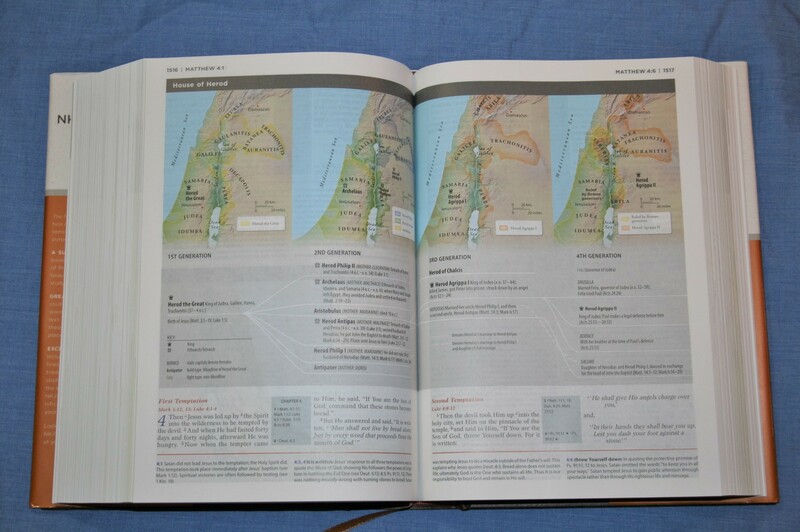 This is why a study Bible should also provide tools to do your own study – and this one does. This is something that should be the primary focus of a study Bible rather than commentary. 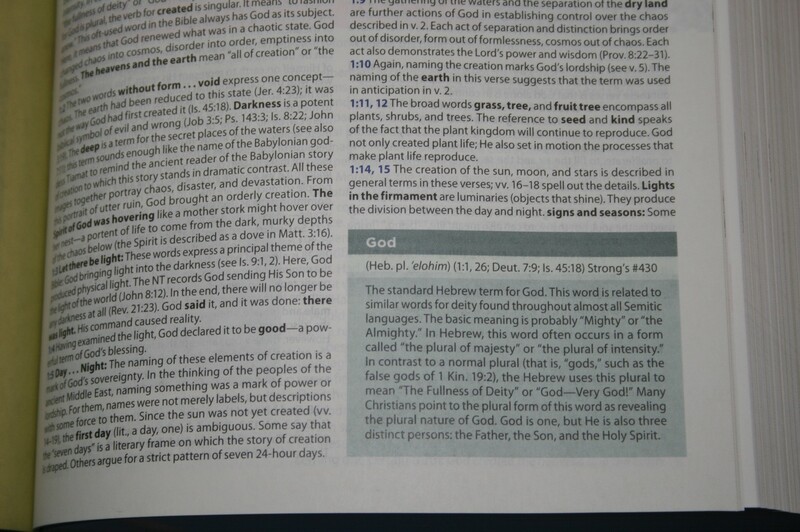 Commentary is placed under the text, keeping the design in line with current study Bible layouts. Commentary does follow a single line of thought rather than provide multiple views. 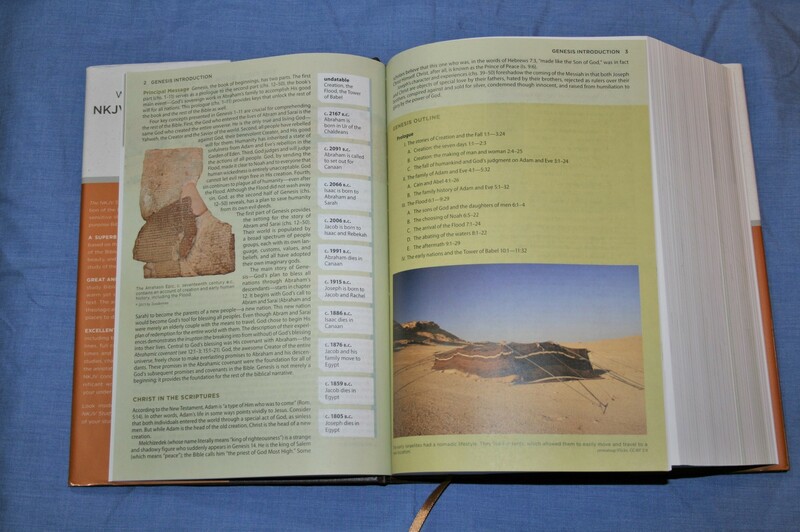 Book introductions take about three pages and include color photos of places, artifacts etc. 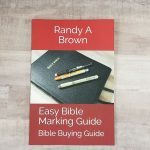 It includes a general overview of the book, the author, principle themes, Christ in the Scriptures, an outline, and a timeline. There are 350 word studies throughout the text. They are placed in the notes-section within gray boxes. They include the English word, the Hebrew or Greek word, verses where it is found, the Strong’s number, and a definition. 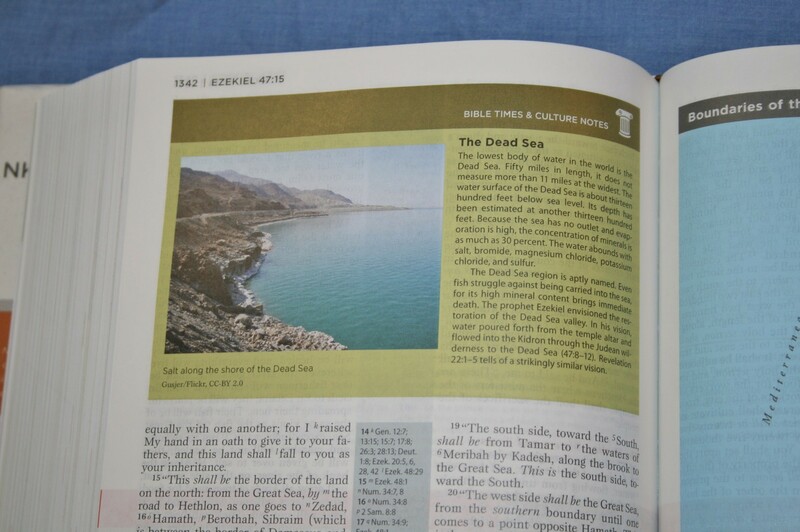 There are 150 Bible Times and Culture notes. These are placed above the text instead of below. 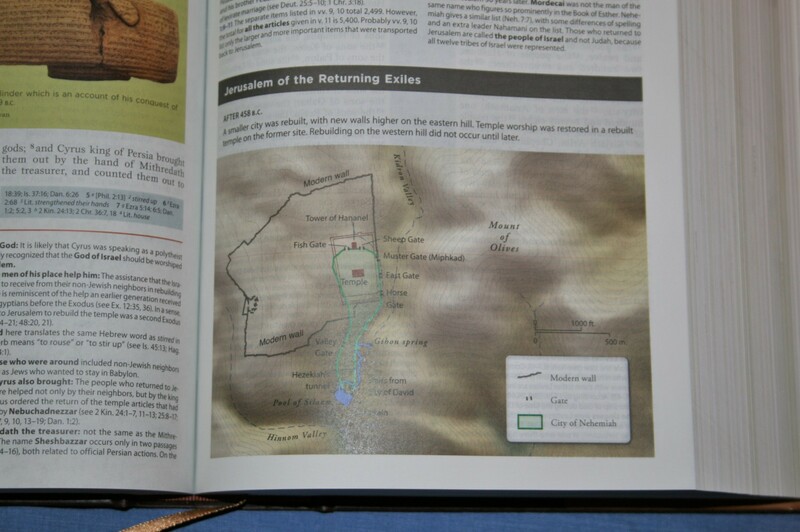 They are placed in green boxes and include information about locations, people, objects, and many topics (worship, childbirth, etc.). I like seeing archaeological artifacts and having notes on the culture of the time. 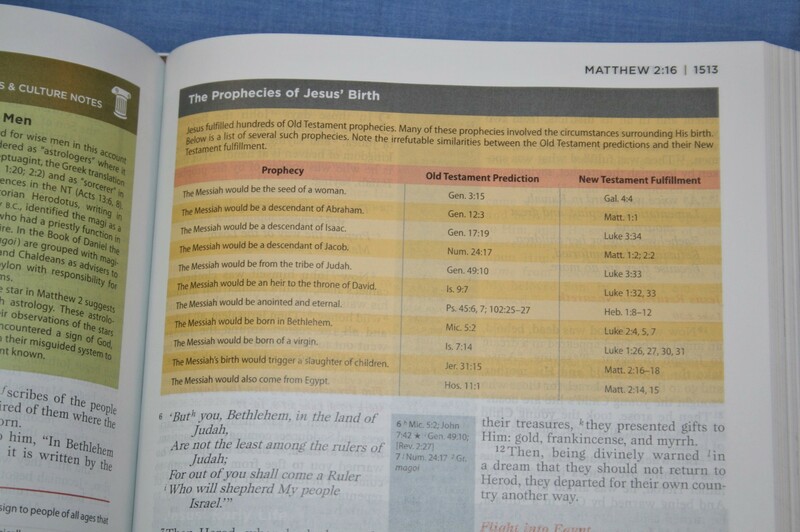 I wish more study Bibles included this kind of information. I don’t know the number of maps (I started to count them, but laziness overwhelmed me). They are in full color and are labeled well. Some take up a portion of the notes area and may or may not have annotations, while others take up a full page and are fully annotated. I found these to be useful for study. There are 100 articles throughout the text. These are expanded from the first edition. Most are doctrinal based and do not include multiple views, so they will have a lot of bias. There are many others that are simply factual-based and contain general information. These are good for personal and group study. Like all commentary I recommend that you verify the theology with Scripture. This is three pages and includes the unit, value, equivalents, and translations. 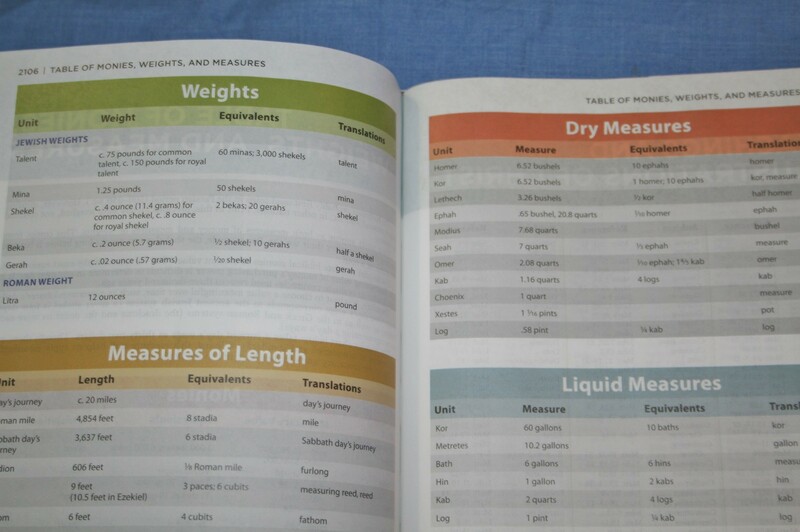 It has monies, weights, length, dry measures, and liquid measures. It even has some information about the history of coins and monetary values. This is three pages and works like a concordance. It has the topic with the verses. 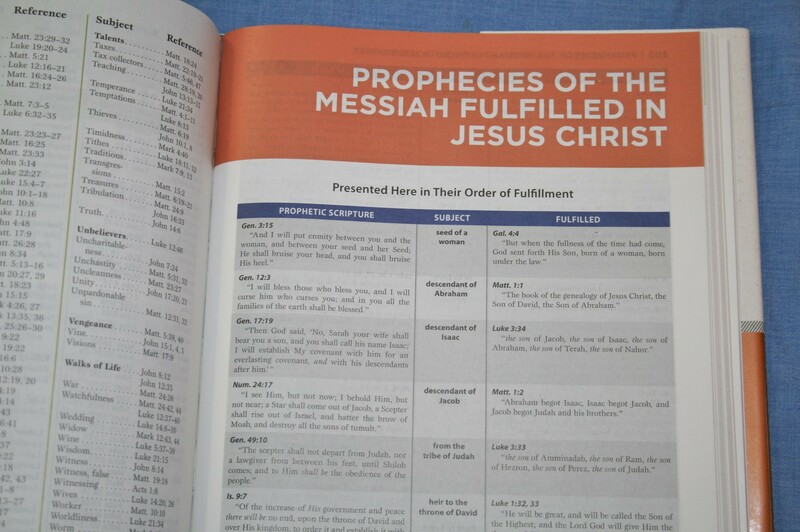 This is six pages and the prophecies are presented in the order of their fulfillment. It contains the prophetic Scripture, subject, and where it’s fulfilled. 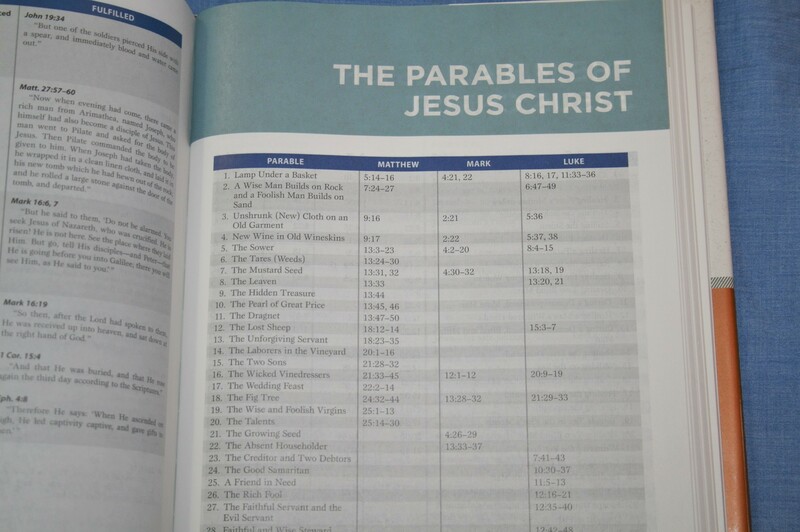 This is one page and is basically the parables portion of a harmony of the Gospels. It includes the parable and where it is found in Matthew, Mark, and Luke. 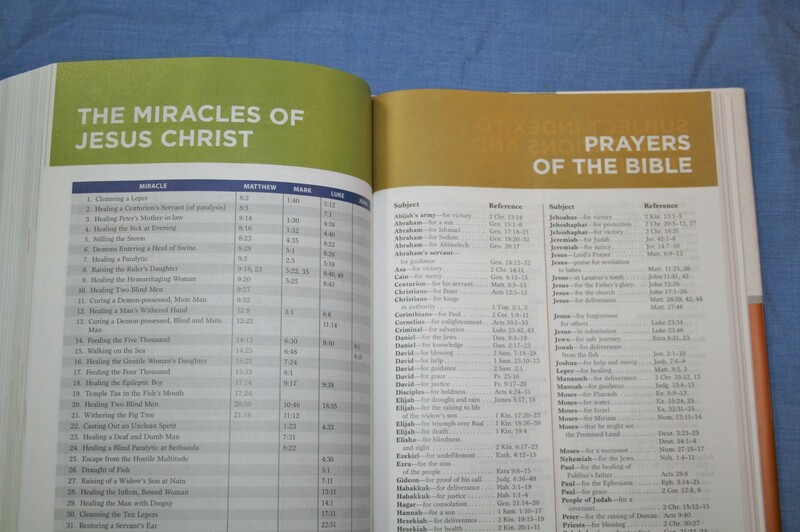 This is one page and is basically the miracles portion of a harmony of the Gospels. It includes the miracle and where it is found in Matthew, Mark, Luke, and John. This is one page and includes the subject and the reference. The subject gives the name of the person praying in bold and then the topic. 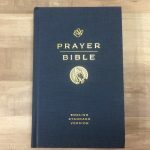 This is 25 pages and includes the overall topic followed by a specific topic and references to the Scriptures or articles where the topic is discussed. 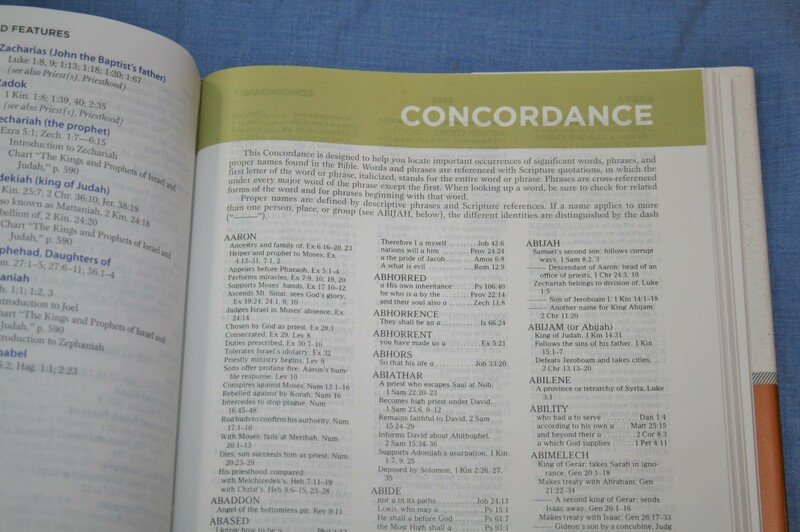 The concordance is 195 pages and is quite extensive. 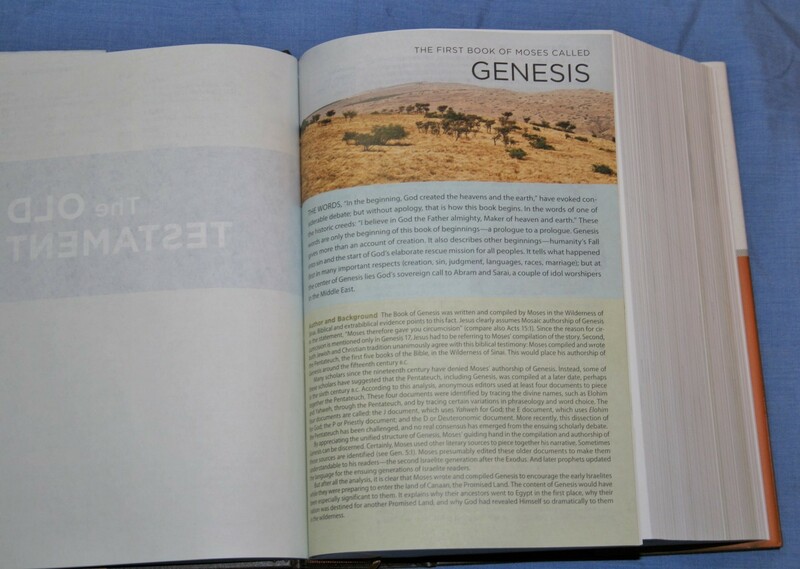 It has three columns per page and even includes Son, Son of David, Son of God, and Son of Man. For God is has 21 other topics for you to see including Angel of God and Wrath of God. Before the regular entries it includes Names, Manifestations, Nature of, Attributes of, and then has the regular entries (which is a lot). It also has God the Father, Goddess, Godhead, Godliness, Godly, and Gods. 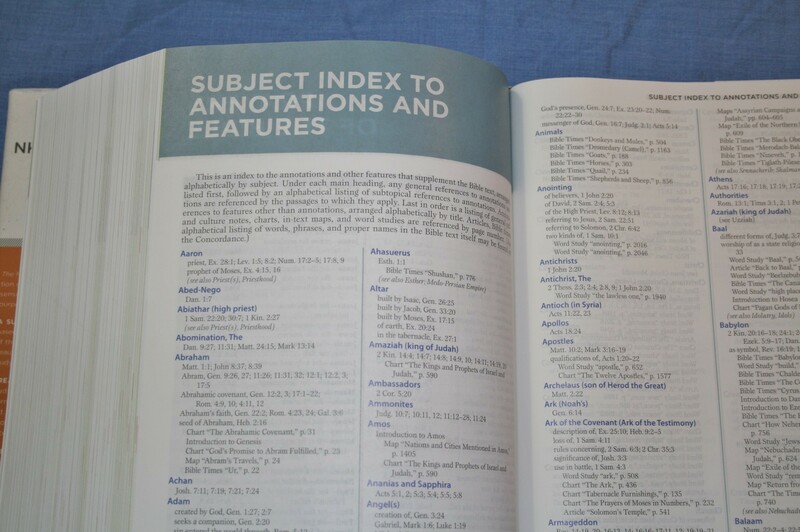 The index is 3.5 pages with three columns per page. It gives you the name of the places, the map numbers in bold, and then the coordinates on the maps. I love that they included an index. I’d like to see this as a standard in all Bibles. 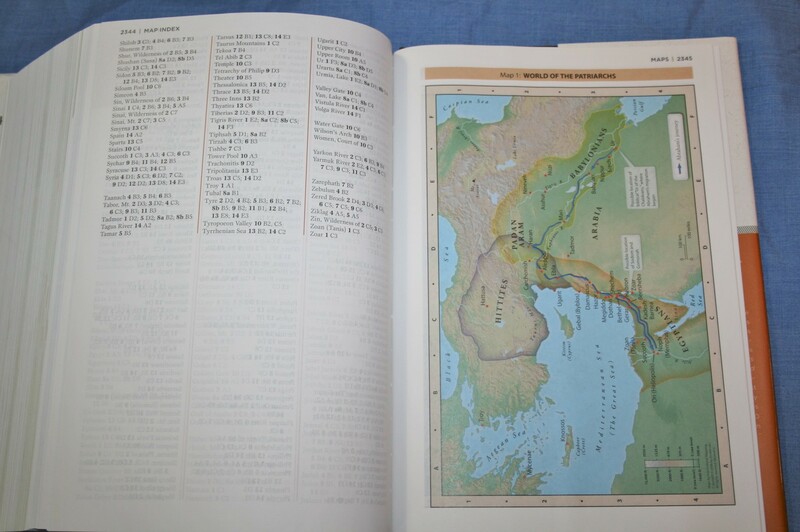 There are 16 pages of full color maps. They’re printed on the same paper as the rest of the Bible. They look really nice. They’re labeled well and some are annotated. 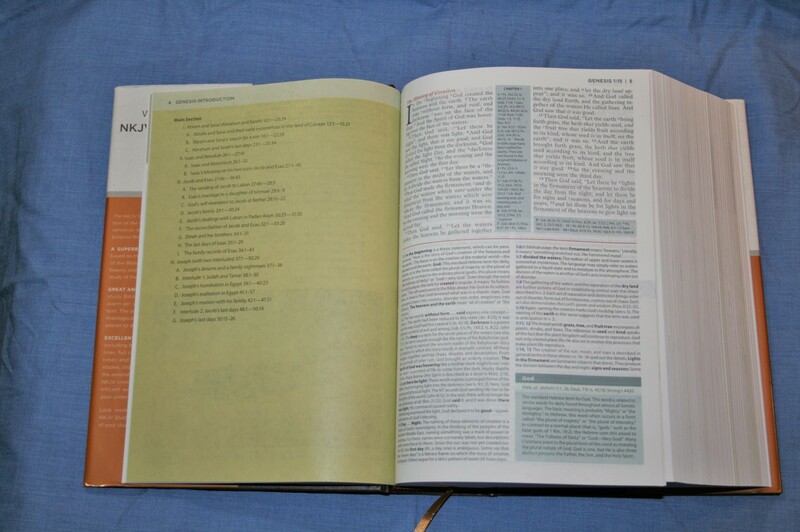 There is a lot of good quality study tools in this Bible. It does have some theological bias, so just be aware of that and do your own study allowing Scripture to interpret Scripture. 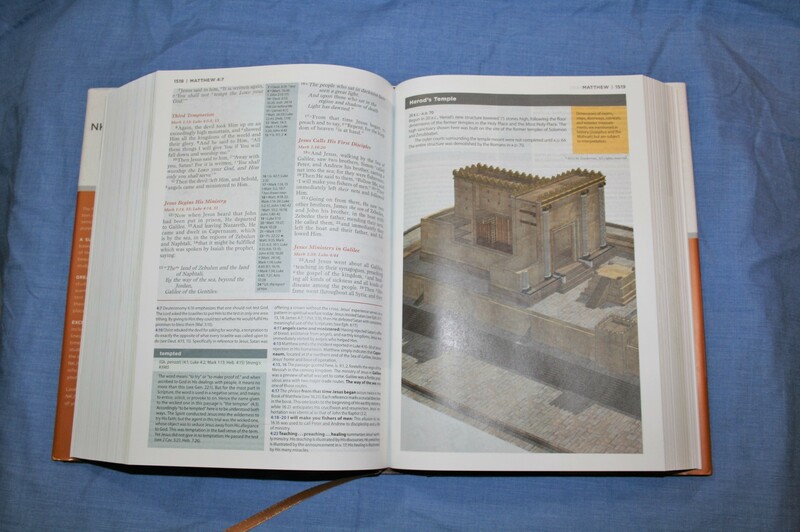 I like the layout and it’s nice to see good quality color photos of places and artifacts. The section headings stand out exactly the way I want them to. Verse numbers are fairly easy to find. I found the word studies, culture notes, artifacts, charts, subject index, and concordance to be the most useful in sermon and class prep. So, it does have a good study system for pastors, teachers, and students. 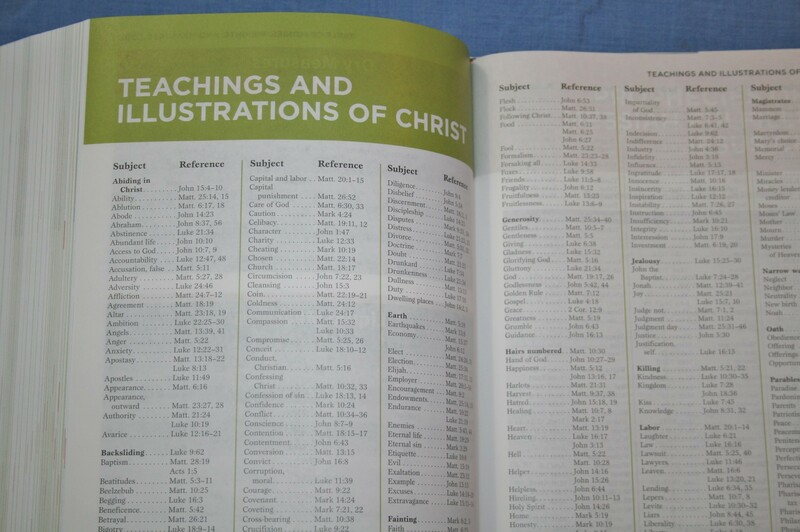 Like all study Bibles, just be aware of theology bias and you should find this Bible useful in your study. 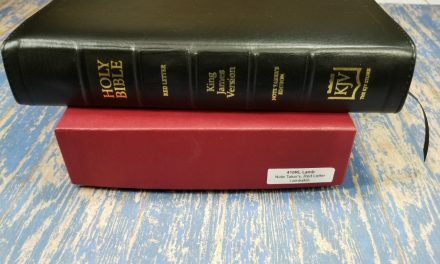 Thomas Nelson provided this Bible free for review. I was not required to give a positive review – only an honest review. 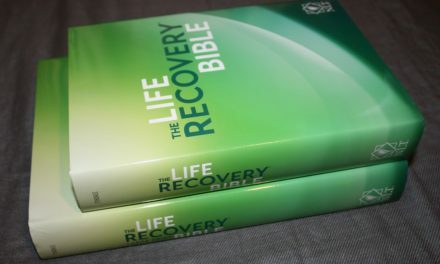 I wouldn’t mind having this bible as a study help but for some reason the colored look just kills the deal for me, it looks like a magazine or school book which some people may find appealing but for me its an eye sore. I know the color should make me feel all fuzzy and warm but it does the exact opposite LOL, oh well ya can’t love them all I guess. Even though that magazine;) isn’t my cup of tea, your review of it was was still very well done. 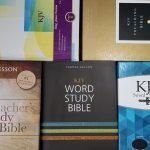 Hello, I came across your website while looking for an effective bible for study and I am very grateful that you do this. May God continue to bless and keep you and cause His face to shine upon you. Hi Kimberly. I’ve seen them in large print but not in leather. Hopefully they’re produce one with their Comfort Print line.